To listen to our Free group meetings twice a week Tuesdays at 10 am CST and Sunday evenings. Determine for yourself if the option coach can add to your play book. The first 50 people that sign up receive free one-on-one mentoring until the end of 2013. When is it OK to get Naked with GE? Earnings plays can be like "Falling on a Hand Grenade"
Contact Casey directly to set up an on-line training session. See the course outline for a description of the courses offered. Sign up for a one-on-one session tailored to your specific and immediate needs. Why Mentoring for Options Trading? "Casey Definitely Offers the Best Advice and Instructional Tools for the money!" "Casey was tested in the pits of the exchange and that experience shows. He has an amazing ability to analyze a position in order to both improve profit potential and minimize risk." 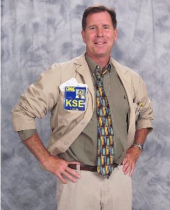 "Casey taught me more than just options trading but what risk management is really about."